It’s a common mecca for morning commuters, but before you pull up to that green-and-white logo, take a moment to think about your order. 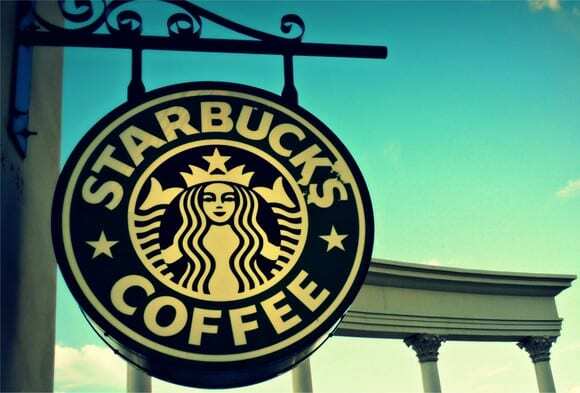 Some of the menu items at Starbucks are more unhealthy for you than fast food combos! The white chocolate mocha is the juggernaut of unhealthy coffee orders. Not only does it contain 70 percent of your daily recommended value of saturated fat (14 grams), but the whole shebang comes out to 530 calories if you order a venti. For comparison’s sake, a Big Mac is only 560 calories. A large order of fries is only 510 calories. You could literally eat an entire McDonald’s order of fatty, salty fries, and it would still be healthier than Starbucks’ white chocolate mocha. The modern Starbucks sells a lot more than just coffee. Unfortunately, their meals aren’t any healthier than their drinks. Their sausage and cheddar breakfast sandwich contains 950 milligrams of sodium, a number that should terrify you if you’re at all familiar with the daily recommended sodium intake from the American Heart Association. According to the AHA, you should be limiting your sodium intake to around 1,500 milligrams a day. That’s almost your entire serving in a single sandwich! Mixing things like espresso, caramel sauce, mocha sauce, whipped cream, sea salt and toffee-flavored syrup, this beverage is both sticky-sweet and entirely bad for you. It will set you back almost 600 calories; it will clog your belly with cholesterol and carbohydrates. It’s also more than half of the generally recommended caffeine limit: 400 milligrams is the maximum intake suggested for healthy adults, and the iced salted caramel mocha comes with 265 milligrams all by itself. If that isn’t enough to give you pause, it’s also 500 calories for a tiny slice. As you might already know, the average person needs between 1,5000 – 2,500 calories a day. In short, you’ll be wasting a fourth of your caloric intake on a minuscule square of cake! You’ve read the labels. You’ve heeded the warnings. You’re going to order something healthy during your next trip to Starbucks… but the chai latte isn’t it. While its basic ingredients aren’t bad, its “extras” include things like steamed milk infusions and a thick foam topping. In an effort to make it tasty, Starbucks also made it unhealthy. It may look delicious, but the turkey pesto panini is a heart attack waiting to happen. Not only does it contain a whopping 1,180 milligrams of sodium, but it’s also woefully low on things like fiber and protein. You’ll be consuming calories that are empty of anything but fat, salt and carbs, making the turkey pesto panini one of the least-nutritious and least-fulfilling options on the Starbucks menu. It should come as no surprise that a drink labelled “double chocolaty chip” is bad for you, but you might be surprised at just how bad it really is. The smallest possible order, a tall, will set you back 310 calories. The largest, an iced venti, will clock in at a staggering 540 calories. Even if you take off the whipped topping, the sheer amount of chocolate and crema in this beverage will be terrible for your waistline. The AHA recommends limiting your daily sugar intake to 25 – 36 grams depending on your gender. The peppermint mocha frappuccino contains 88 grams of sugar. Don’t think that you can escape the sweetness by downsizing your order, either; even the smallest tumbler will contain 49 grams. The next time that you want a frappucino, do your heart a favor and create it with your own coffee maker. These are just a few of the worst things that you can order at Starbucks. A healthy diet starts with better choices, so think twice before rattling off your usual to the barista behind the counter.